Using stats is the smart way to grow your business. When it comes to business and life in general, “I don’t know” isn’t all that helpful. 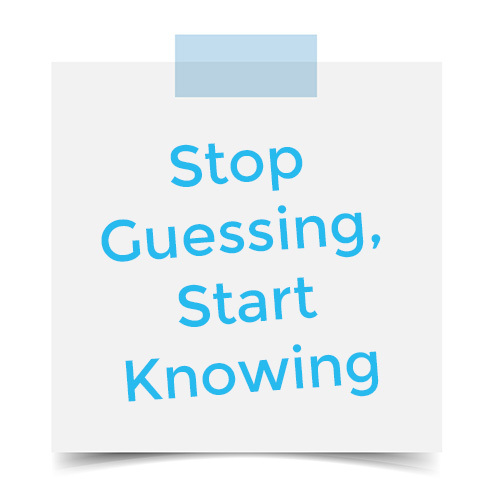 In most cases, “I don’t know” should be an indicator that there is another step to take, and that usually involves research of some sort. Whether that is asking someone that does know or doing the research yourself, knowing where to go is helpful. So where do you turn for information? This is where statistics comes in! Stats can help take away some of the uncertainty. Stats provide you with an objective starting point. Stats, which we define as a number tracked over a period of time, can provide you with the information you’ll need to make educated, effective business decisions. Say you want to take your business to the next level. You see potential for growth. You don’t know where to focus your energy though. So open up your stats and graphs and go through the last few months’ (or years’) data, looking for trends. Once you’ve identified some high points and low points, talk to your team (or yourself, if you’re a team of one) and see why certain periods were better or worse than others. Take that all into consideration to make informed business decisions. Stats can help you to stop guessing about your next steps and start knowing which direction to go (with data to back that knowledge up). Having the momentum and energy to move forward is a large part of the equation, but the direction you’re headed is just as important. Just as you wouldn’t sail a ship without a compass, you shouldn’t manage without statistics. And it doesn’t have to be hard. Once you’ve decided on the stats to use, you just put in the numbers (or let various systems to do it for you, like our integrations–seriously, check those out! ), watch the graphs, and act accordingly. Don’t keep any stats yet? No worries. We know getting things set up is tedious in the best of circumstances and can be fraught with worry if you aren’t sure what to track. That’s why the UseMyStats team is always working to make stats as painless and useful as possible. One of our efforts to handle this start-up problem is our “stat bundles”. What are “stat bundles”? I’m glad you asked! We went through a bunch of possible stats and tried to narrow down some common choices. We then put these together into bundles. If you “add a bundle”, we’ll add that whole set of stats to your account in one go. You just click the mouse a few times and we do all of the work. Some of them even come preloaded with integrations (like pulling in website analytics from Google Analytics) so everything will tie together nicely. Moreover, if something goes wrong, you can delete those stats and start over again! We hope this feature helps save you some time and frustration on setting up new stats, and we welcome any feedback you might have when you use it. I’m sure we’ll add more bundles or make changes to our existing ones as we get suggestions. Ready to try out some stat bundles for yourself? Try UseMyStats for 30 days for free! No credit card required. Sign up for UseMyStats today.